In 2006, after returning home from a Spring break trip to Paris, I started my journey of being a healthier version of myself. In preparation for that dream trip to France, I bought a pair of jeans that were the largest size I had ever owned—20W. This was my wake-up call. I knew when I returned from Europe that I had to make some serious changes in my life. I began my journey with one idea in mind—to make a life-long transformation. To accomplish this, I decided to make small modifications that I could commit to for the long haul. Here are four of my favorite nutritional changes that have helped me shed 90lbs (and counting) over the past 11 years. Before my first consultation with a nutritionist, I didn’t have a sense of portion control. I remember when she presented me with plastic food items on a table and asked me to prepare my plate as I normally would if these were real food options. I loaded the plate up until it was covered end to end. Portion control, I thought, was determined primarily by the plate in my hand and not with my own mind. In order to correct this error, I bought a food scale, measuring cups, and smaller plates. My previous plates were around 11 inches in size. I immediately reduced my plates to 9 inches, but now I currently eat dinner on 7 or 8-inch sized plates. I learned that the best way to curb my portions is to reduce the size of my plate. Hearing this mantra growing up caused me to see meat as the center of my nutrition. When I started my journey, my focus shifted to having an equal balance between protein, sides, and vegetables and not making any part more important than the other. 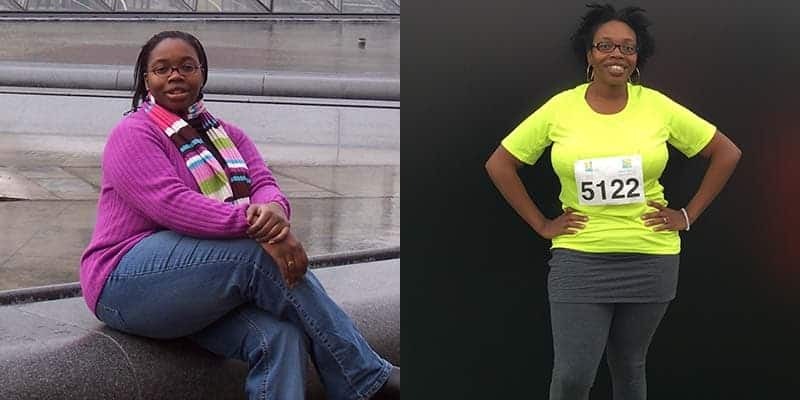 However, five years into my healthier journey, I was diagnosed with Type 2 diabetes. As a person living with diabetes, I now make vegetables the center of my meals. My new mantra, “If there are no vegetables, then there’s no meal” has been extremely helpful in keeping my weight and blood sugar levels down. Years ago, my taste buds enjoyed foods that were deep fried and smothered in thick gravy or creamy cheese sauces. The saltier the better, too. I enjoyed starchy foods like pasta, potatoes, and rice on a daily basis. For breakfast, I loved sweet cereals such as Apple Jacks or Fruit Loops. Although, I didn’t realize it then, when I started my journey by focusing only on diet for the first six months, I was actually changing my palate. This is an extremely beneficial process because it means that I now no longer crave certain foods or my desire for them has dwindled significantly. I didn’t quit any food cold turkey, I incorporated the healthier version in with the not-so-healthy until the pendulum swung all the way over. For example, back then I enjoyed having cold cereal for breakfast. The nutritionist suggested that I replace Apple Jacks with any cereal of my choice that had a serving of at least 5 grams of fiber. To start, I poured the cereal into a 1 cup measuring cup with ¾ sweet cereal and ¼ the healthier choice. The following week, I poured half and half. The next week, my bowl contained ¾ healthier option. My palate totally changed in favor of the fiber-filled unsweetened option. Within a month, I was no longer interested in eating cereals packed with added sugar. I used this method for other foods including moving from dark meat to chicken breast, mashed potatoes to cauliflower, and even boiled vegetables to steamed ones. The most amazing outcome of changing my pallet is that many of the unhealthy foods that I enjoyed aren’t in my current lifestyle in any form. Standing up to food pushers took some trial and error. When relatives offered me a slice of their favorite pie or cake, I didn’t want to disappoint them, so I ate it believing that I was being polite. When I visited friends and they greeted me into their homes with sweet drinks, I accepted them, not wanting to ruin the pleasant moment. Along the way in my journey, I began drinking only water (unless my blood sugar levels dropped into hypoglycemia) and I limited desserts to a weekly (rather than daily) encounter. I started loving the way my body looked and felt eating healthier. The benefits showed in a drop in my cholesterol levels, in the radiance of my skin, the thickness of my hair, and the increased regularity in my digestive system. These positive results made it easier for me to prioritize my hard work above other people’s desire to have me taste this or try that. Additionally, after my Type 2 diagnosis, I knew that I couldn’t compromise my healthier lifestyle for the sake of socializing. I developed ways to tell others “No” in a polite manner. Instead of saying, “No thank you”, which rarely works with food pushers, I started asking if I could have the food or drink later. Fortunately, most of the time later never came and all was forgotten in the midst of socializing. I am completely transformed from the person that I was eleven years ago. When I think back on the mindset and behaviors that I had, I am pleasantly surprised at how much making these small changes have impacted my life for the better. 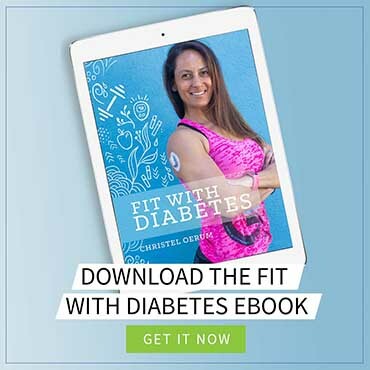 I hope that you find them helpful as you take steps forward on your own personal journey to living a healthier life. Phyllisa Deroze is a prominent online patient advocate for Type 2 diabetes and a professor of American Literature. She is a Fulbright Scholar Alumna who enjoys writing professionally about Type 2 diabetes for academic and mainstream audiences.After being diagnosed with Type 2 in 2011, she noticed that there was a lack of culturally competent information for African Americans and started blogging at ‪DiagnosedNotDefeated.com and founded BlackDiabeticInfo.com to fill the gap. 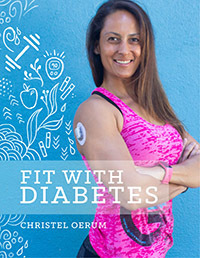 Phyllisa is dynamic speaker and health motivator who offers free diabetes workshops annually in her hometown of Pompano Beach, Florida as a part of her commitment to community outreach. I’m a big fan of Dr. P and appreciate all she shares with the world. This is a great post full of actionable ideas. I especially love the bit about slowly transitioning by mixing the food types week by week. What a good article. I love the simple tips!! Congrats on your continued success! !